Asustek Computer has come up with a new ultraportable laptop, dubbed B23E that comes to strengthen its ultrabook line. The move seems rather logical since at CES 2012 ASUS did not take part in the ultrabook wars, announcing just two new color options for its existing Zenbook lineup of ultrabooks and skipping to introduce any new notebook models. The B23E comes with a 12.5-inch screen and targets enterprise users. ASUS claims that all its B series enterprise notebooks are way better than standard consumer notebooks when it comes to strength and durability, having surpassed consumer notebook standards in drop tests, hinge tests and panel pressure testing. The B23E does not break the tradition as it comes with a quite durable magnesium-aluminum alloy chassis. In addition the B23E features a spill-proof design and a shock resistant hard drive. The specs include an Intel Core i3 2350M/2330M, Core i5 2540M/2450M and Core i7 2640M processors to choose from. Memory is 8 GB of DDR3 SDRAM, while the hard drive can go up to 750 GB. There’s also a 2 MP web camera, a USB 2.0 port, an e-SATA / USB2.0 combo, one USB 3.0 port, HDMI, an ExpressCard slot and a smart card reader. For security reasons the B23E comes with a finger print reader and an optional TPM. The battery is only 3-cell but ASUS claims that it can provide three times the traditional Li-ion battery life cycle. 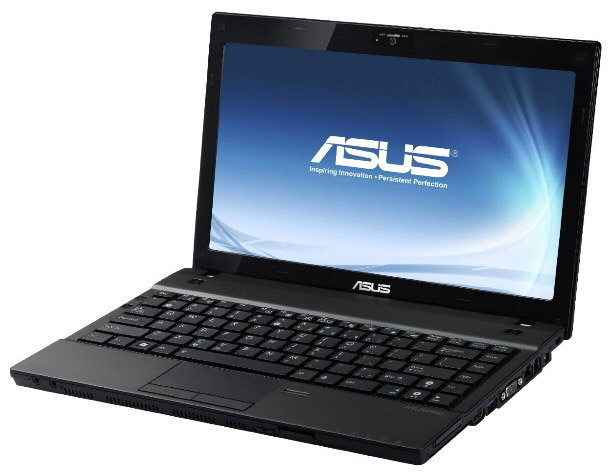 The new ASUS B23E ultrabook is available online with Intel Core i7 models costing just under 1000 USD.